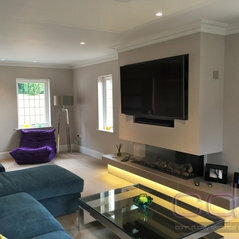 CDS Electrical is the South East's premier electrical contractor. Covering an area with a radius of approximately 60 miles the number of customers that we have been able to accommodate has been staggering. We are in our 20th year now and are growing quicker than ever before. Our professional service, quality workmanship and commitment to outstanding customer service is reflected by the amount of positive feedback that we receive on a daily basis through phone calls, written letters, e-mails and on Checkatrade where our overall score is 9.85 out of 10 (based upon 623+ reviews). CDS Electrical was founded in 1996 by Corin Dudley; who continues to run and drive the business with that same enthusiasm and passion today. 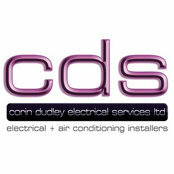 By 2002 the business had grown significantly due to the professional and reliable service that Corin has always enforced and he incorporated the business to become Corin Dudley Electrical Services Ltd. Fast forward 15 years and CDS Electrical is now a strong team of 32 and we are growing quicker than ever before. ISO9001, MCS, ECA, REA, NICEIC, TrustMark, ConstructionLine, SafeContractor Approved, Chas. Typical Job Costs:Our first hour is charged at £50 + VAT with each half hour thereafter charged at £20 + VAT. For larger works, we offer a free quotation service that will price all of the work at a single price which will not increase regardless of the number of additional hours we may end up spending to finish the works.